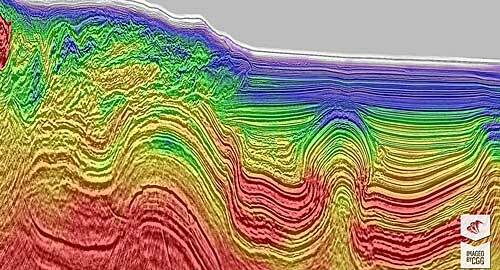 CGG has announced that the final products from its Encontrado multi-client reprocessing project across the Gulf of Mexico’s prolific Perdido fold belt have been delivered on schedule to the Comision Nacional de Hidrocarburos (CNH) and the industry. The Final Reverse Time migration (RTM), Kirchhoff migration and associated data volumes covering a vast 38,000 sq km area straddling the Mexico/USA border are now available on a non-exclusive basis. The significant uplift in the imaging of these final products over the Fast Trax RTM data delivered last year is evident throughout. As a result, the prospective reservoirs can be identified and mapped in unprecedented detail. The improved depth information in the final volume also has a material impact on the understanding of the petroleum systems and the location, timing, volume and type of hydrocarbons that may have charged the reservoirs. Collectively, these improvements enable an enhanced assessment of prospectivity in this emerging exploration frontier. Given the project’s magnitude, this achievement is testament to the experience and commitment of the processing team in CGG’s Houston subsurface imaging center and the value of geoscience integration. To further enhance industry understanding of this complex but highly prospective area, CGG has embarked on a JumpStart™ fully integrated geoscience program to complement the seismic data from the Encontrado project. JumpStart programs are designed to review, validate, calibrate and interpret all available seismic, well and geologic data to deliver all the information needed in one place for a comprehensive understanding of the petroleum systems present.